Yesterday Aphria received a ‘hostile’ takeover offer from a company called Green Growth Brands Ltd. (“GGB”), which aims to acquire Aphria in a C$2.8 billion all-stock deal. GGB’s second largest shareholder is a fund sponsored by Green Acre Capital, a firm that lists none other than Aphria CEO Vic Neufeld on its board of advisors. Aphria has invested directly in the fund and therefore already owns a significant stake in GGB. 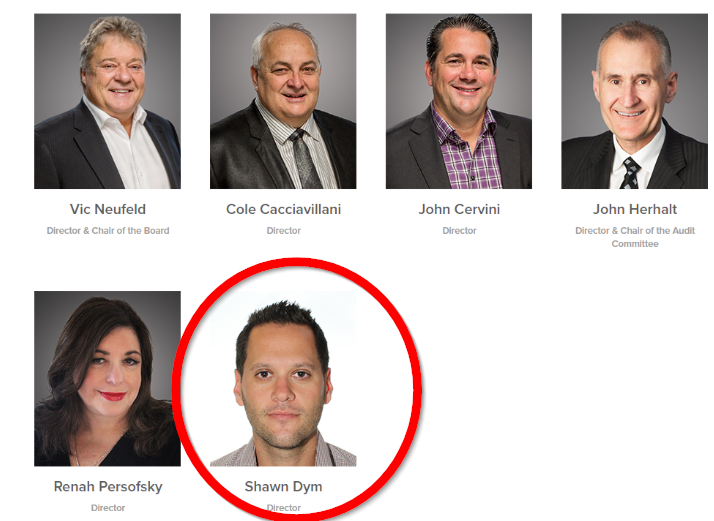 GGB recently listed a current Aphria board member on its own board of directors. Other recent GGB directors have obvious affiliations with Aphria and its related persons. 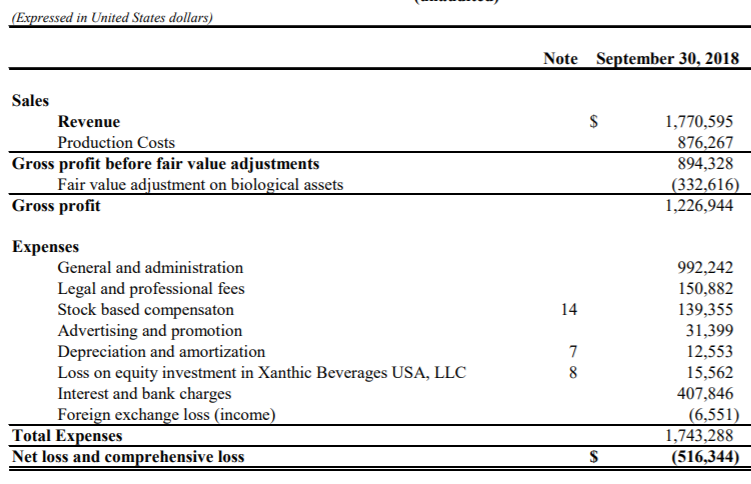 GGB was formed this year, has almost no revenue or tangible assets, and has limited operations. Despite this, its newly-listed, thinly-traded stock has spiked to a market cap of ~C$890m on average daily dollar volume of only ~$1.3 million. In short, we think GGB is largely a worthless entity with numerous signs of Aphria related-party influence. This entire proposed deal strikes us as merely an epic next step of Aphria’s brazen shell game. We view this offer as non-credible and likely an attempt to generate the appearance of demand in the hopes of spurring credible offers. Last we left off, Aphria’s shareholders were patiently waiting for the company’s weeks-delayed “line-by-line, point-by-point” response to our December 3rd research report. In our report, we had identified substantial red flags of insider self-dealing relating to Aphria’s C$280 million LatAm acquisitions. Rather than releasing a rebuttal however, shareholders yesterday were instead subjected to the newest act in the Aphria circus: A ‘hostile’ takeover offer from a company that quite obviously has numerous related-party links to Aphria and its key insiders. The bidder, Green Growth Brands, listed on the Canadian Securities Exchange less than 2 months ago via reverse merger, has limited financials, and looks to operate 1 retail cannabis store in the U.S. along with a cultivation and production facility. GGB’s stock has rocketed by about 66% since its IPO on average dollar volume of only about $1.3 million per day. In sum, GGB strikes us as being a largely unknown, essentially worthless shell that has seen its share price pumped higher on thin trading volume. GGB’s stock closed yesterday with a market cap of about $890 million trading at $4.98 per share, yet intends to acquire Aphria in an all-stock deal at a value of $7 per GGB share. In other words, GGB’s shares would need to trade at over a 40% premium from its recent closing price in order to buy Aphria at a 45% premium. We believe the deal sponsor and structure are both highly irregular, to put it mildly. Before we go too deep into the details of this proposed deal, perhaps it makes sense to rewind the clock a bit and provide a theory on what might be happening here. Our recent LatAm report followed on the heels of our original report from March relating to Aphria’s C$425 million acquisition of Nuuvera. Aphria insiders eventually admitted to having secretly owned stakes Nuuvera prior to its acquisition. Those insiders included 4 top executives (including Aphria’s CEO and CFO) and 6 of 7 company directors. In other words, the scandal implicated nearly the entire board and top management. Our Nuuvera report was in late March, well after many of the suspicious LatAm shell entities had already been established. Given the timing (and given these latest developments) we believe it is possible, if not likely, that a large swath of Aphria’s executives and board members also had exposure to the questionable LatAm dealings. So what do you do if almost everyone gets caught with their hands in the cookie jar? The ideal solution would be a buyout with a change of control, which can allow everyone to naturally exit with their reputations largely intact. But what if no one swoops in to buy you out, given all the recently surfaced problems? Well, you might just take matters into your own hands and try to engineer the appearance of demand by getting your friends to launch a bid for you. Then, reject the ‘hostile’ attempt as being deficient and hope credible offers actually roll in. At the very least it will support the share price and provide a welcome distraction. At most, it might actually work. With that in mind, let’s get into some of the details of the deal. 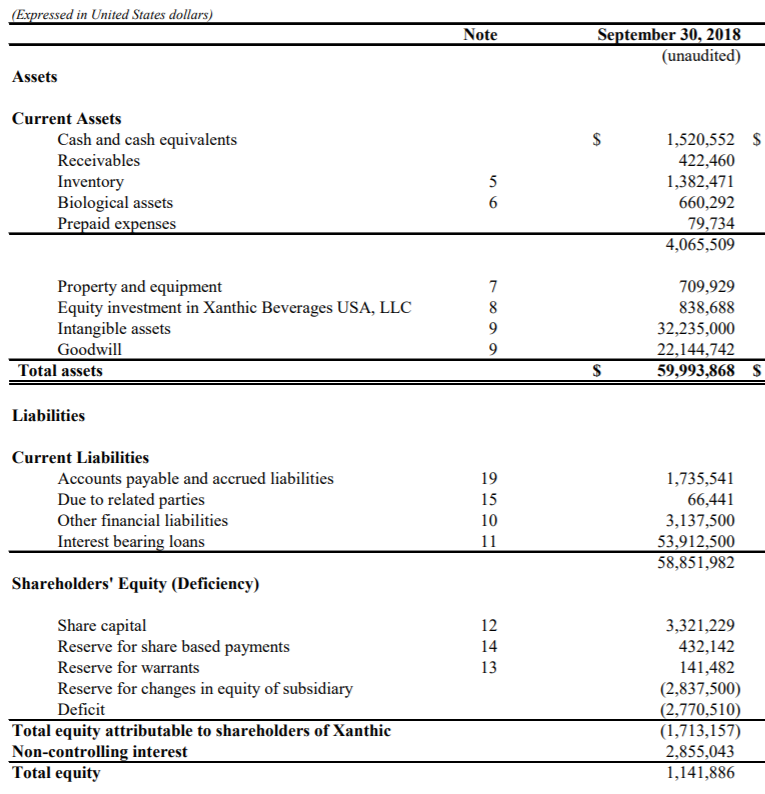 Per Aphria’s latest MD&A, we can see that it transferred over $30 million into that very fund subsequent to the recent quarter-end. We find it to be a remarkable coincidence that Aphria holds a major stake in its own ‘hostile’ bidder through a fund that is advised by its own CEO. In other words, a recent director of the ‘hostile’ bidder served concurrently as director of Aphria immediately prior to its recent IPO. The second individual, Adam Arviv, looks to have a close business relationship with long-time Aphria advisor Andy DeFrancesco, who featured prominently in our reports on both LatAm and Nuuvera. Arviv shows up in numerous DeFrancesco-affiliated deal filings including those in Liberty Health Sciences, Riot Blockchain, PolarityTE, Breaking Data Corp, and MassRoots. Despite Dym and Arviv having directorship roles at Green Growth as late as October, neither were listed as directors in the subsequent reverse merger documents a month later (pg. 62), which could represent an effort to minimize the clear ties. Moving right along, the key backer of Green Growth is the Schottenstein family, which worked with Aphria and its key insiders on a joint venture to bring medical dispensaries to Ohio just one year ago. The joint venture included numerous Aphria insiders who worked together with the Schottenstein family on this deal including CEO Vic Neufeld, director Cole Cacciavillani, director John Cervini, and multiple others. The bidder was taken public mere months ago with the backing of Aphria, and through a fund that is advised by Aphria CEO Vic Neufeld himself. The bidder’s main backer had a recent joint venture with Aphria and its key insiders. The bidder’s recent board members concurrently served on the board of Aphria or had numerous historical dealings with key Aphria-related individuals. So what can Aphria’s shareholders look forward to if this all-stock deal were to actually close? Let’s take a look at what Green Growth Brands brings to the table. Green Growth Brands was formed on February 14th, 2018 (pg. 20). The company IPO’d via reverse merger and opened for trading on November 13th, less than 2 months ago. The company has plans to expand through acquisition and additional store growth in 2019. We’re not exactly bullish on Aphria (as we have made clear), but this proposed deal actually strikes us as being objectively worse. Shareholders would be trading Aphria, warts and all, for an inflated stock in an entity with almost no tangible assets or financials. What is the point? Given all the attention on the proposed bid, you can be forgiven if you had not noticed that Vic Neufeld is no longer chairman of Aphria. Neufeld stepped down almost immediately after news of the takeover offer was released. The timing of this release, immediately on the tail of such a headline grabbing bid, strikes us as a potential effort to sweep this important fact under the rug. With so much attention on Aphria and its irregular dealings we simply find it to be brazen that this deal has even been put on the table. Disclosure: I am/we are short APHA. Really, you’re short Aphria ? I couldn’t tell. I hope you get crushed….. Your analysis is convincing and the conclusions appear sound – especially given the reluctance of Vic to refute prior allegations. The above simply adds salt to the wound. I have to tell you how much I appreciated your investigation of Aphria and it’s numerous capital market shell games. It’s remarkable they have gotten away with fleecing investors and regulators so dramatically. Your investigative reporting is much needed in this growing cannabis public markets frenzy. How is it that the authorities are not investigating this? If this f—k up is so blatant, why is it not illegal? Or, is this a completely bias opinion which slants data (as can EASILY be done) for gain or revenge? The fact that no slander lawsuits have been filed, gives me some worry, re: validity. Anxious to hear more. detailed information you offer. It’s great to come across a blog every once in a while that isn’t the same outdated rehashed material. This cant be at all legal. When will they be investigated by the government?